Excluding purchases under $1, textbooks, sale merchandise and academically discounted software. 10 percent off University facility rentals (excludes food, security, etc.) 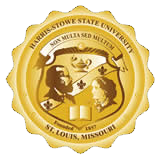 Contact the Business Office at (314) 340-3320 or henryri@hssu.edu for more information.